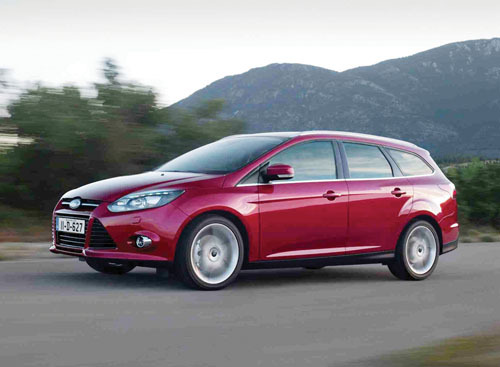 Ford has completed the Focus range in Ireland with the arrival of the new Focus wagon model. The new Ford Focus was launched in four and five-door saloon versions last March and the car has quickly made an impact as the Focus is on track to be the top-selling car in Ireland for 2011. The arrival of the stylish Focus wagon with a versatile load capacity of 1,516mm3 ensures the Focus range now has a model to suit all types of buyers. Ireland has not traditionally been a strong market for wagon or estate models. In Germany, for example, the Focus wagon accounts for some 70 per cent of Focus sales in the country. “We are a long way off our continental cousins’ love of estates or wagons, but there is evidence of a growing interest in Ireland in these models for the extra versatility that they can provide, in particular for families,” concluded Murphy. The new Focus wagon is available with a 1.6 litre petrol or diesel engine and a 2.0 litre diesel automatic transmission. The 1.6 litre diesel has CO2 emissions of 117g/km, placing the car in the lowest priced tax band A, while the 1.6 litre petrol and 2.0 litre automatic powertrains fall into tax band B (136g/km and 139g/km respectively ). In an extended test drive in the diesel model, I can report that it drives every bit as well as the rest of the range and the sports estate design is very pleasing to the eye.For those who need to carry more luggage or other goods, check out the new Ford Focus wagon.